In these great times which I knew when they were this small. The dominion of the document is a feature of modernity. Modernism has always been bound up for me with travel, with politics, and with protest. I got my first passport and traveled to what was then the Soviet Union in January of 1987. 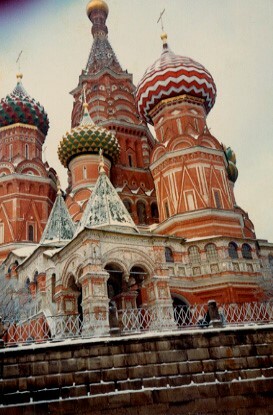 It was the dead of winter and the twilight of the Cold War when we visited Moscow, Leningrad, and the Central Asian Republic of Uzbekistan, where the calligraphic beauty of the Islamic design on the madrassahs in Samarkand echoed the ornate beauty of St Basil’s Cathedral back in Moscow. When I returned home, I read for the first time the Anglophone modernist writers whose obscure and difficult texts spoke to the shock of international travel that had resonated so strongly with me. Later that year, as I was struggling through Joyce for the first time on my own, a West German student by the name of Mathias Rust flew a small single-engine Cessna through Soviet air defenses and landed in the heart of Moscow. Frustrated by the failure of the Reykjavik summit between Reagan and Gorbachev the previous fall, Rust aimed to land directly in Red Square and deliver a manifesto to the Soviet leader urging the construction of an imaginary bridge between the US and the USSR. This was a different kind of travel, transgressive, bold, and overtly political. It was a spectacular act of protest—or what the Situationists might have called a detournement (literally a “rerouting” or “hijacking”)—undertaken by a youth who lived in the crosshairs of the nuclear superpowers. Although he never delivered his manifesto, the flight itself, which briefly captured the world’s attention, was a success. Gorbachev used the incident as an excuse to purge the entrenched, old-guard military leadership, something he had long sought in his ongoing efforts toward glasnost and perestroika. As my dual love of modernism and travel morphed into a deliberate course of study—and as Rust’s act lingered in my mind—I became interested in the ways that travel and politics shaped modernist texts. At the time, there was much focus on the figure of Odysseus, the genre of the epic, the role of the hero, and so forth, all of which was great fun, but at the same time deeply apolitical, highly gendered, studiedly deracinated, and ultimately alienating from what had drawn me to modernist literature in the first place. Still feeling the muscle memory of my own trip, I became interested in the material reality of travel and the documents that permitted it—the passport, the visa, etc. The regulatory regime of human mobility that had emerged after the First World War became a lens through which I saw modernism—Ezra Pound’s obsession with “the passport nuisance” for instance, which erupted after a single encounter with a passport official and lasted a lifetime, or E. E. Cummings’ maddening attempts to renew his visa when trying to leave Soviet Russia through a port in Odessa. Modern travel was both emancipatory and bureaucratic, both difficult to document and inexorably subject to documents. The attacks of 9-11 happened as I was working on my study of the modernist travel book and suddenly it was no longer possible to imagine an act like Rust’s. Airplanes were used not as vehicles of peaceful political protest but as instruments of terror. Since then, we have been plunged into perpetual war. And sixteen years on, the talk is more than ever of walls and bans, of security and or, especially, the documents that will supposedly guarantee it. Walls that will never get built, bans that drag through the courts, but documents that proliferate and subsume us—documents that serve not just as markers of identity but as determiners of legality—documents that function not just as signifiers of our status but that constitute our very humanity—documents that regulate and restrict mobility as much as they allow it, especially the mobility of those seeking to cross borders for work or refuge. The pile of debris that we gaze back upon as we are simultaneously propelled to the future is made not of rubble but of paper. What do we do in these times? The concept of “belatedness” recurs in these blog posts, which is one reason I begin with this telescoping of different times and a collapsing of the personal and the political, not to mention the allusion to that backward angelic glance at the end of the previous section. Debra Rae Cohen is anxious about the belatedness of her initial rallying call for solidarity and reflection as she notes that while the public has already turned to the modernist period and the rise of fascism to try to make sense of Trump, we need to do more than rummage through our field for tropes, parallels, and echoes. Debra Rae instead urges us to think about our roles as scholars and as activists and the ways these identities might intersect in productive ways. The question of how we can “insert the urgency of activism into our models of composition” is a fundamental one that requires us to talk about who we are as modernists. Melissa Dinsman sees the call to action and activism itself as belated, a symptom of our ongoing failure to recognize and acknowledge the privilege of our academic positions, whether this privilege is based on race, gender, or class. Like the SNL skit “Election Night” that aired soon after Nov 8th, Dinsman reminds us that the shock we felt was not a shock to those communities (including our students) that have been living with the realities of racism or sexism for generations. Trump is just the latest and crassest avatar of this racism and this sexism. We must be explicit about our privilege, according to Dinsman, not just in these times, but in all times. “Belatedness” is a key word in travel and postcolonial studies as well and I want to import that meaning to help us understand how we might move forward as modernists. In Belated Travelers: Orientalism in the Age of Colonial Dissolution, Ali Behdad sees it as a necessary precondition for what he calls “oppositional reading” (2). The “belated travelers” of his title are those mid- to late-nineteenth-century European writers who traveled to the East but failed to find the authentic images and experiences that they had read about in the accounts of previous travelers. But Behdad also locates “belatedness” in the “post” of “postcolonial theory” itself, which comes after the period of colonialist encounters and bureaucracies that it analyzes. Behdad sees in postcolonial practices the tendency to reproduce the hegemonic power distributions that they reveal. In order to be effectively oppositional, theory needs to go beyond the simple nostalgia that is embedded in any historical analysis. For Behdad, this interventionary articulation is not misprision, but a recuperation of the traces of resistance that got left out, missed, or erased from those original colonial encounters. “A belated reading is an interventionary articulation of a new problematic through the detour—or, perhaps more accurately, retour—of an earlier practice” (3). Recovering the complexity of those encounters, a complexity that goes beyond mere colonizer/colonized binaries, is key to recognizing the way these forces are still at work today and how we might respond. For writing and theory to be truly oppositional, they must reveal the “actual affiliations that exist between the world of ideas and scholarship, on the one hand, and the world of brute politics, corporate and state power, and military force, on the other” (5). Belatedness provides the historical hindsight necessary to “critique the cultural conditions that continue to produce unequal relations of power today” (9). In looking to the past—our own personal pasts, the history of the early to mid-twentieth century, and the pasts of modernism itself—we need to be always arming ourselves with strategies for reading and intervening in the present. How do we come to modernist studies belatedly? And how might this belatedness be crucial for practicing oppositional theory which weds the urgency of our activism to our research and scholarship? The New Modernist Studies is now already almost two decades old, and the books and articles that have been published under its auspices have covered a range of contemporary debates on globalism, transnationalism, border studies, deterritorialization, and the like, while also greatly expanding the canon (analogous in many ways to the similar impact that postcolonial studies had on the academy a generation ago). But contemporary events demand a renewed critical intervention. We need to think radically about the now. As I look back to the moment of my own introduction to modernist literature, I see it differently now than I experienced it then. But I’m not so much interested in trying to stitch together a coherent explanatory narrative as I am in trying to understand the larger forces that were and continue to be at work, how they reveal themselves to us, and the ways we might intervene. I want to offer the example of my own activism—one instance in particular that is centered on a specific document (IDNYC, New York City’s Municipal ID program)—to illustrate how my interest in modernism helped shape my intervention there. You’ll note this is a reversal of Debra Rae’s call. In other words, before suggesting how our activism shapes our composition and identities as a community of modernist scholars, I need to understand how my modernism—tangled up with that original moment of travel—shaped my activism. And even before that, I need to take one last detour (or retour?) through the dominion of the document. The omnipresence of documents goes well beyond passports and visas, those modern bureaucratic outgrowths of the First World War. As Gitelman suggests, they are woven into the fabric of who we are. Even as paper is replaced by electronic means of documentation, the tyranny of the document circumscribes us today more than ever. Documents (or the absence of documents) were a constant topic of discussion and source of anxiety during the 2016 election, whether Hillary Clinton’s emails or Donald Trump’s tax forms. In online spaces such as 4Chan, where support for Trump metastasized, “doxing,” or releasing someone’s private information (documents) publicly against their will, was a common form of attack. Think of the perverse flourish, today, when Trump signs his executive orders and displays his signature. Think also of Texas’s SB4, the so-called “show me your papers” bill (modeled on Arizona’s draconian SB 1070), which was briefly law until it was blocked by a federal judge in August. And then, of course, in early September, Trump announced that he would be rescinding DACA, the Deferred Action for Childhood Arrivals policy and with it the DREAM Act, which gave assurances (although not a path to citizenship) to those who arrived in this country undocumented as children. Dreamers were required to submit all sorts of information in exchange for this “protected” status, in what amounted to the creation of a registry. Rescinding DACA means that all the information provided by applicants would now be available to Immigration and Customs Enforcement (ICE) the branch of Homeland Security responsible for deportations. This is a betrayal of the promise that documents ostensibly offer: a means of belonging to a social order. We should never forget that Trump’s entry into politics was predicated on his repeated and shameful demands to see the birth certificate of the first black President of the United States. This was an obsession that persisted despite any evidence he was shown or assurances he was given. And while Trump himself saw this as a neutral request for basic information, the racist implications of this demand were clear to many, especially to people of color. It seemed to many that there was nothing Obama could do that would satisfy Trump, no document he could show that would prove where he was from. But I always saw it differently. Somewhere in Trump’s racist mind there was a scene playing itself out, one that involved Obama groveling before Trump, presenting his papers directly to him, and then waiting while Trump looked them over. Then in a flurry of officiousness Trump would hand his papers back, tell him everything was in order and to move along. Eventually he would have turned his attention to the next thing, college transcripts no doubt, because racism is ravenous . . . I live in Bay Ridge, Brooklyn, a neighborhood at the southern tip of Kings County tethered to Staten Island by the Verrazano Bridge. In addition to the Italian, Norwegian, and Irish “settler” populations, it is home to a growing community of Arab Americans, the largest in the US outside of Dearborn Michigan. There are neighborhoods in Staten Island where the streets are lined with trees bedecked with blue ribbons. If you cross the bridge and go north on 5th Avenue, the delis and pizza parlors give way to halal butchers and hookah bars. Since the arrival of Donald Trump on the political scene, tensions have been high in the neighborhood. The Arab American community was still reeling from the disclosure in 2011 of the secretive NYPD surveillance program targeting mosques, community centers, and Muslim Student Associations, when suddenly Trump announced his campaign promise of a “total and complete shutdown of Muslims entering the United States.” Organizers with the Arab American Association of New York reached out to progressive members of the white community and began the difficult work of community building. As a result, by the time of the election we had already begin to forge interethnic bonds and had held any number of protests, marches and community meetings. While the activism itself wasn’t new, the election infused it with new urgency. 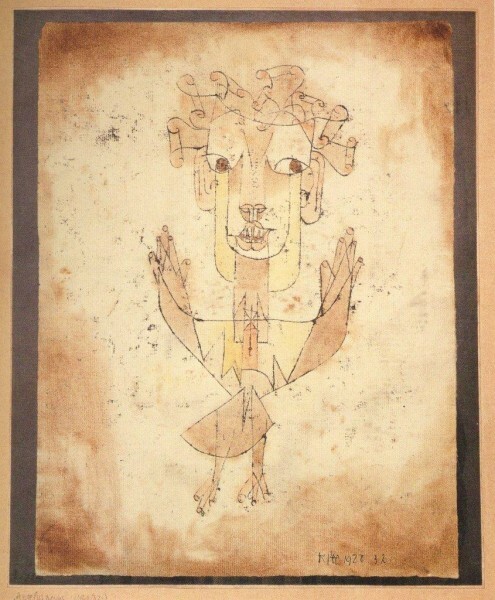 One issue that we organized around resonated with me for reasons I had difficulty seeing at first, but that in retrospect I see as emanating in some obscure way from my interest in the documents of modernism. This was New York City’s municipal ID program, IDNYC. Launched in 2015, the IDNYC card, available to all New Yorkers regardless of immigration status, provides basic identification for those who might not otherwise have it. The card can be used by parents to pick their children up from school, open bank accounts, and facilitate encounters with the police. (It cannot be used to board a plane.) The cards give people a sense of belonging to a city that can often seem hostile. The program was a massive success, enrolling almost 1 million New Yorkers in the first year. Built into the legislation was a provision that would protect the data from being collected by a future “anti-immigrant administration,” to quote one of the City Council members who drafted it. Sure enough, within a month of Trump’s election, two local GOP lawmakers here in Bay Ridge and Staten Island brought a lawsuit against the city demanding that Mayor Bill de Blasio’s administration make available to law enforcement the data gathered as part of the application process. This lawsuit was an affront. The demand that New York City renege on its promises to protect the information it had gathered was a fundamental betrayal of the essence of the program. They based their arguments on national security concerns, repeatedly citing the 9-11 commission report and denying that their lawsuit had anything to do with immigration, a rhetorical sleight-of-hand that switched out anti-immigrant sentiment with Islamophobia. Immigrant’s rights groups were rightly concerned that this information could be used by ICE, despite the lawmakers’ protestations. A key part of our organizing was messaging and framing, as we had to be careful to address the ways in which different marginalized groups were being played off of one another. Here it was again: papers being demanded, identity being subject to interrogation, documents taking precedence over the safety and well-being of bodies. My instinct as an academic was to write an article about the lawsuit for a local blog. I talked with people who knew more about the issue than me (which was everybody). I attended a press conference for the first time in my life; I reached out to the mayor’s office and to local City Council members for comment and clarification, and got detailed and helpful responses from all involved. In the article that emerged, I clarified, at least to myself, why this seemingly innocuous lawsuit, couched in terms of national security and public safety, was really about power, and how it effectively undermined the trust of a large section of our community with no tangible benefit to that community. But while this article was an important way for me to learn about the issue, the more important lesson was seeing my work for the first time as part of a larger organizing effort. Although I have no doubt that more people read that article than have read all of my academic writing combined, there is still a way in which on its own it did little, apart from the more concerted organizing effort that followed. In organizing around the IDNYC lawsuit, we also initiated a petition drive as way of drawing attention to the issue. We organized a protest in front of the house of one of the plaintiffs, and had people impacted by the lawsuit speak out. It’s difficult to know the connection between any particular organizing or protest action and a given outcome (did Rust’s flight lead to the fall of the Soviet Union? ), and it’s not even clear where the lawsuit is in the courts. The judge dismissed the case in April of this year, but the GOP lawmakers filed an appeal and the data has yet to be destroyed. But for me perhaps the most important outcome was the way that I saw my work and interests as a part of something larger. The people I’ve worked with are among the brightest, most creative, and kindest I’ve ever met, which is all the more remarkable since many of them are also frequently the targets of the most vitriolic hate and xenophobic policies. It gave me a very different sense of community than I had known before. I don’t know of a better way of inserting the urgency of our activism back into our identities as modernists and researchers than to recognize the need for solidarity behind any sincere intellectual effort. The most important part of Debra Rae Cohen’s call for responses was the invitation to come together as a community of scholars. It’s a call we all need to answer. This solidarity will be increasingly important in the coming years as we will continue to see right wing provocateurs like Milo Yiannapolous, Gavin McInnes, and Richard Spencer out there testing academic spaces with their free speech canards, as we’ve seen in Berkeley, as we saw in Charlottesville, and as we saw just recently in Florida. The college campus may in fact be, as these alt-right figures say it is, a breeding ground for leftist thought, but without the kind of coherent organizing efforts and broad-based solidarity building that we are seeing in our communities, this means little, especially if we are to push back against the racist, misogynistic, and xenophobic advances of the right. I felt I got in touch with the spirit of the place. I was so emotionally involved then and was so disappointed with the failure of the summit and my failure to get there the previous autumn. So it gave me motivation to continue. Rust flew on to Finland, spent the night and then in the morning began his flight to the Soviet capital. But he needed that detour. He needed to put his body in the space of those failed talks before he put his body in Red Square. It was deliberate. His act of protest had that slowness to it that Debra Rae says we need to preserve as events unfold around us at dizzying speed. Heading to Moscow, Rust flew low enough over the Russian forests to avoid the radar and air defenses, low enough so he could see the treetops. He had trouble finding Red Square at first and when he did he had to change his plan to land there because of the crowds below. Instead he landed on a bridge adjacent and taxied to the base of St Basil’s Cathedral. Four months earlier, I stood in that spot where the plane would be and, like so many tourists before me and since, I took a photograph of the extraordinary building. Years later I included the snapshot in my book on modernist travel writing to illustrate E. E. Cummings’s description of St Basil’s as “a crazed Thinglike dream solemnly shouting out of timespace.” In the upper left hand corner of the photograph you can just see the shadow of my finger, which the editor, fortunately, allowed to remain, documentary proof that I was there.